Social Media & Chronic Health Conditions: Patients and Caregivers – Glass Half Full with Leslie Krongold, Ed.D. Is using Social Media important to you? Which platform do you use to find support from others with the same chronic health condition? 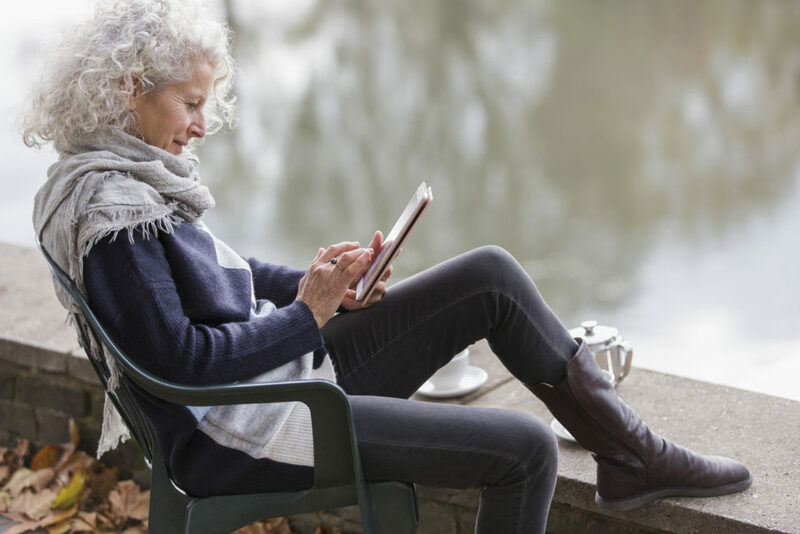 If you’re a caregiver, do you access an online group to connect with other caregivers? Maybe you use social media to help educate or advocate for a particular health condition? This podcast episode explores how a variety of patients, and caregivers, use Facebook, Instagram and other social media platforms to do what they need to do. You’ll hear from people with chronic health conditions: Toni Bernhard, best-selling author, and in 2001, initially diagnosed with an acute viral infection—but has yet to recover; Chris Schlecty, a Microsoft software engineer in Seattle, living with limb-girdle muscular dystrophy and Dean Sage, an attorney in San Diego, diagnosed with myotonic dystrophy. Also included are caregivers — Loraine Dressler, retired nurse and caregiver for family members and Marla Murasko, Down Syndrome Mom Advocate & Inclusion Influencer.